Taking the Internet with us wherever we go is possible as long as we have a good portable routers available. The best portable routers are compact enough to be able to carry without difficulty.It can connect different devices to the network. Recommended products for this purpose are models such as the TP-LINK TL-MR3020 router, a compact and lightweight router that allows you to choose the bandwidth of each device to be connected, capable of supporting 3G and 4G and configurable with a single button. Here we list the best travel routers from cheap as $30 to premium as $150. 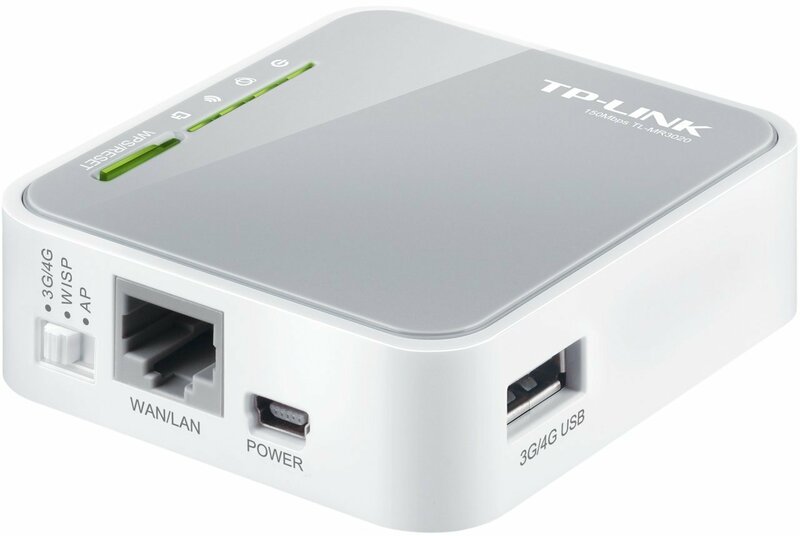 From the well-known manufacturer of network devices, TP- LINK, the latest low priced travel router is the MR3020.Its portable design of only 59 grams, with measures of 7.4 x 2.3 x 6.6 cm, designed as a kind of USB device that you can take with you anywhere, to share wireless connection without much effort. Among the most important functions this router has is that it allows the user to select the bandwidth that each device will have, something very useful because it allows each device to be used according to its capacity, especially if we are lending our connection to a third person, since this way we can avoid abuses or limit the consumption. 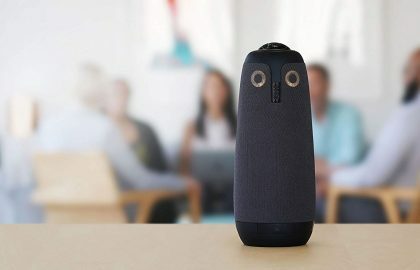 In the same way, it supports the 3G and 4G connectivity modes, which are the most advanced, and allows you to configure security with a single button. Adjustable bandwidth : The consumption of data may be limited or adjusted to what is required by each device that establishes connection with this router. Connectivity: The connectivity of this device can be both 3G and 4G, so you can have the internet wherever you are. Design: It has a compact design and very light, so you will not have complications to take it anywhere. Speed: Can reach up to 150 Mbps to upload or download. 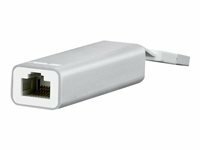 USB: Verify if the USB 3G / 4G port that you have is compatible with the router. Netgear’s travel router, the Trek PR2000 is the number one in terms of range, and number two in terms of throughput. The Trek only works on the 2.4 GHz frequency band but has support for the 802.11b/g/n standards and supports two spatial streams in 802.11n-mode to maximize the throughput speed up to 300 Mbps theoretically. That and the help of an articulated antenna together aided the Trek to attain a whopping throughput of 46.8 Mbps, client being 65 foot away from the router and separated by many walls. With the client near to the router, it showed a speed of 64 Mbps. Netgear’s travel router has two Ethernet ports, so you can connect one to a DSL or cable modem or any internet connection, and another to wired network client. A WPS button would be a welcome addition in these scenarios but for now, you must either log on to the user interface of the router in order to initiate WPS connection, or read the factory-assigned SSID and Wi-Fi password that is printed on the router itself. The PR2000 has a USB 2.0 type A port that can be used to connect portable hard drive to the router to share files using the Netgear’s ReadyShare software but unlike the DIR-510, Trek does not support USB cellular modems. The Netgear Trek supports UPnP, but it does not have a DLNA certified media server. If streaming media and other high bandwidth functions are main concern, stick with the D-Link DIR-510 AC750. D-Link DIR-510 has several features plus decent TCP throughput, the ability to access un-populated 5 GHz frequency band, and supports up to an LTE USB modem. 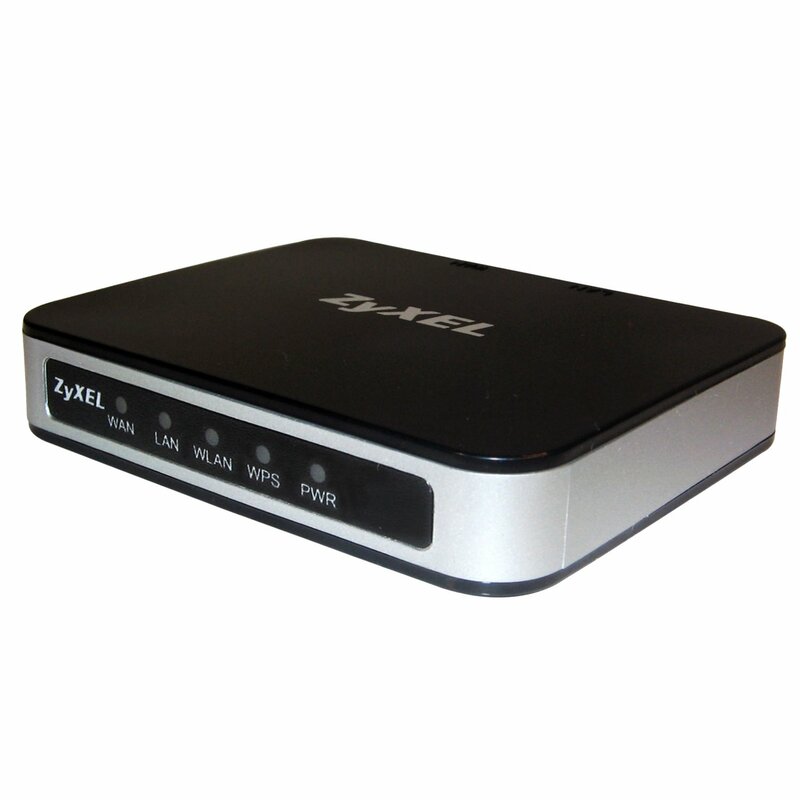 ZyXEL MWR102 Travel Router is a small router which can act as an access point or a wireless client bridge. The functionality of the device is not so different from other travel routers that we have tested including the Asus WL-330NUL and Netgear Trek PR2000. Although the ZyXel missing a number of characteristics of the D-Link DIR-510, like multiple USB ports for charging additional devices, ZyXel’s little router is a convenient travel companion for the Wi-Fi network on the road. The MWR102 is single-band router that can deliver up to 150 Mbps throughput under ideal conditions. Pocket-sized, measuring 2.9 x 2.3 x 0.6 inches, the router so small that you even barely notice it’s there. It comes with an USB cable and adapter which can be used to power on the device. The device can be used in either AP or Router mode using the toggle button on the side. You can set up the device as a router, access point or a wireless client bridge in simple and easy steps as recorded in the user manual. I turned the router mode according to the instructions, and the process is very simple. Most users will probably stick with router mode, for example, connecting internet cable in a hotel or meeting room to the WAN port and then using the device with to create a wireless network. 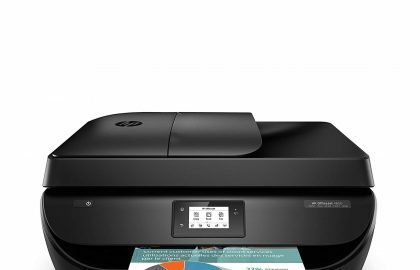 The AP setup is not as intuitive as the router setup mode and requires a little more technical know-how. The user interface is also pretty good which is understandable even for beginners. Everything you need is there accordingly and is easily accessible. ZyXel’s has all the useful features of a consumer router including NAT, SPI Firewall, access control by MAC address and MAC filtering. There are a number of options available to the traditional routers and have not been included in this, as DMZ and port forwarding, but these are functions that you would not typically set up in a router for the use on the road. 150 Mbps does not intend to deliver the same performance as a more robust, dual-band router at home, but the MWR102 attained the fastest speeds that I have tested in a travel router that is average of 65 Mbps, 15 feet away from the device in 2.4GHz 802.11n-only mode with 40 MHz channel width. The small ZyXel MRLS102 Travel Router is super convenient for business travelers who want to set up a WLAN on the fly from a wired internet connection or bridge to an existing wireless network. The tiny WL-330NUL, new travel router from the well-known manufacturer ASUS is even smaller than the tiniest TP-LINK TL-MR3040. You can use the WL-330NUL working as a wireless router when connected to a modem if you provide a USB power adapter or as a wireless router when connected to WISP. So it is more limited than some of the larger travel routers, but that is a reasonable trade-off for its size. This performance router, on the other hand, was not up to the expectation. With the client in the same room, nine foot from the router, the WL-330NUL managed to deliver TCP throughput of only 20.8Mbps. The set up of this router was also a headache but it is manageable if you invest little more time and attention to user manual. 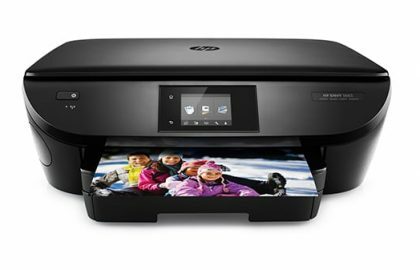 Connect the router to a PC, launch the router’s utility software, and check to see if default password matches what’s printed on the device. The WL-330zero does not support WPS via either a button or software, but that is a good thing. Overall, the Asus WL-330NUL is a non-user friendly low performance but very tiny travel router. Buy this for its size and size only, if you ever will. Apple AirPort Express, streams iTunes over a home network and is made really small. It has a Fast Ethernet port for the Internet connection, but, in contrast to the other wireless routers, the AirPort Express has only one local-area network port. But fear not, it has useful features that are missing from its competitors. It supports both wireless both 2.4GHz and 5GHz bands but has only one LAN Ethernet port. The AirPort Express includes AirTunes, so it is optimized for streaming iTunes via external speakers. For those who want the Express away from the wall socket or connect directly to a stereo, Apple sells an optional AirPort Express Stereo Connection Kit with Monster Cables, including a power cord, digital fiber optic cable and an analog mini- stereo- to-dual RCA connector. 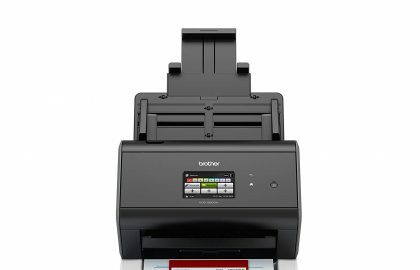 The Express is the only product in the budget range home wireless routers with the USB port for compatible printers. The security features of this router are also good. The firewall uses Network Address Translation so that the Internet can only locate one IP address for the network even though there several devices using the router. The AirPort Express supports popular VPN pass-through protocols to enable telecommuters in a public internet subscription to connect to corporate networks. The installation and set up is quick and easy. The AirPort Express comes with an AirPort Utility Disk to install the Software on Mac or Windows. 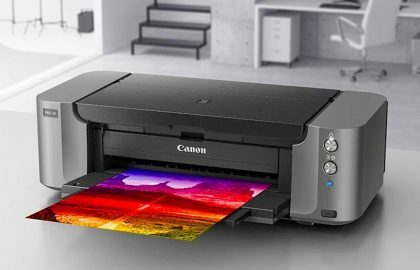 For Mac users, the airport Setup Assistant takes care of all things like setting up the internet connection, makes it easy to share a printer, and configures the product to iTunes to play it on a stereo system. 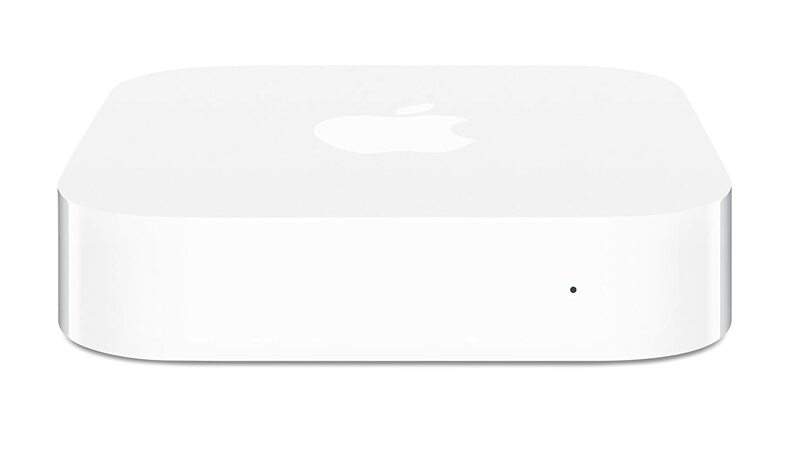 It also allows users to bridge AirPort Express to an already owned AirPort Extreme or AirPort Express wireless network to extend the range of the existing network. Windows users also have the AirPort Express assistant to set up the router. A device as small as the AirPort Express is excellent to be taken on the road as it supports up to five different profiles, To manage profiles, Mac users have the AirPort utility under “Applications / Utilities” and Windows users go to the Start menu and select AirPort from “All Programs.” The firewall in the Airport Express is not as good as the firewall in the top ranked products, but it supports telecommuters with VPN pass through, a function which can’t be seen in the competitors. If you are an Apple user and wants a portable router, this is the choice. D-Link WiFi AC750 Portable Router and charger is different from similar travel routers in a number of ways. Unlike other travel routers, the dir-510L not only supports Wi-Fi, but also supports 3G and 4G mobile networks. 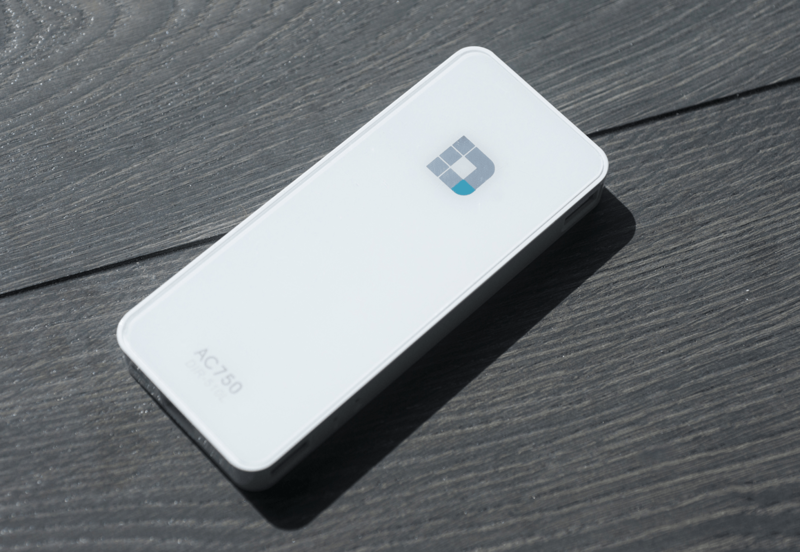 It is the first portable router with 802.11ac support. The DIR-510L has an extensive feature set that makes it the Swiss Army knife of travel routers. 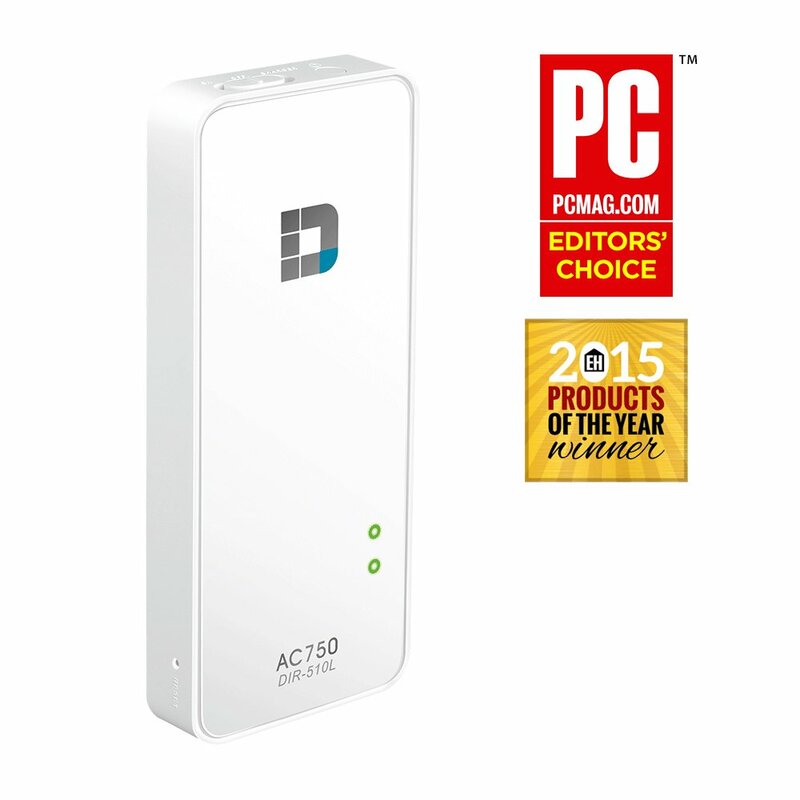 The DIR-510 is one of the largest portable Wi-Fi routers I have used, the AC750 measures 5.5 x 2.3 x 0.6 inches and 5.43 ounces, considerably larger than ZyXel MWR102, but it is certainly small enough to carry around. 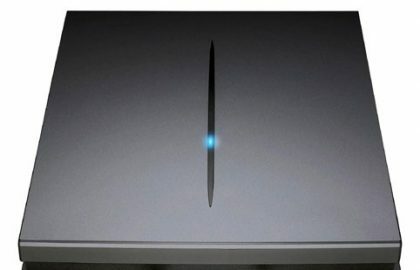 In addition to sharing you Wi-Fi, Ethernet and 3G/4G-connections, the router has a 4,000mAh battery to charge your gadgets via the two USB 2.0 ports: A 1000mA port for charging tablets and a 500mA port for charging smartphones. You cannot use it as a LAN port, so don’t try to connect a PC or laptop setting up the router. Two LEDs on the router will give you the power and status of the battery. But I gotta say that the battery didn’t last long as I expected. A Quick Install Guide that came with the router has a convenient table stating what the LEDs different color and flashing patterns denote. The router is very easy to use, at the side there is a switch that slides to power on or off the router and to place it in charging mode. Just the power on the router and then use a PC or mobile device to connect to pre-configured wireless network of the router. Once you have a 3G/4G, Ethernet or Wi-fi network, the router will automatically configure the Internet connection, and you are good to go. This small device is also packed with all the usual functions which you would like in a travel router, including NAT, a firewall, DLNA, UPnP, Guest Access and support for IPv6. Using D-Link’s SharePort, you can use a USB drive to connect to the router and then share and stream data between clients connected to your network. As soon as the stick is connected, you can see the statistics and storage capacity within the user interface of the router. Also the shareport part of the user interface provides links that you can use to browse the data on the disk from any client connected to the router, or the connected device. The DIR-510L is not the fastest travel router that in the lot but it is definitely good. With the help of Ixia IxChariot throughput test to check the data speed, on the 2.4 GHz band, about 15 feet apart, throughput averaged 32Mbps, although the ZyXel MWR102 managed a throughput of 65Mbps on the same test. D-Link’s Little Champ is an easy-to-use travel router is definitely a joy for business travelers and on-the-go gadget lovers. The D-Link Wi-Fi AC750 Portable Router and Charger is a feature-rich, user-friendly travel router that can function as a mobile charging station, making it a good choice.